She graduated from Sun Yat-sen University with a PhD Degree on Translation Studies. 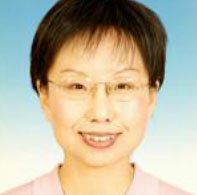 She is Executive Editor-in-Chief of Chinese Translators Journal with the professional title of senior editor. She also serves as Deputy Secretary-General of Translators Association of China (TAC), Deputy Director and Secretary-General of TAC’s Committee on Translation Theories and Teaching, and Assistant Director-General of the Center for International Communication Studies of CIPG.